Congrats to our Scrubs Contest winner Melissa Missy who posted her comment on The Nursing Site Group on Facebook. 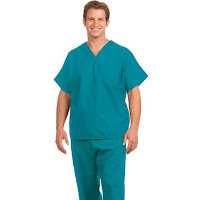 One scrubs top and scrubs pants from Fashion Seal Healthcare Superior Uniform Group have been donated by All Seasons Uniforms. Thanks so much for your support! And many thanks to all who entered our contest on Facebook and Twitter!